On February 26th, do you know what will happen in Tokyo?? Yes!!! Tokyo Marathon is going on!!! Everywhere along the marathon route has this flags. Also, this year, there is big change! Start from Tokyo Goverment Office in Shinjuku, Goal is in front of Tokyo station, Imperial Palace!! Behind the marathon, our tour is going on !!! We are running Center of Tokyo Tour on February 26th. But Tokyo Half Day Tour is not available due to the marathon traffic regulation. Let’s enjoy 6hours cycling !!! This route is going through old Tokyo and current Tokyo. I’ve done Honolulu Marathon once, it was so much fun!! Sometimes while running, I asked me why did I sigh up ?! so hard, so long x3 haha. But finally, I finished within 5hours, I didn’t walk without water station and toilet. I felt a sence of accomplishment! Whoooo!!! I’m so proud of myself :D !!! Yeah! It was my first challenge of marathon. 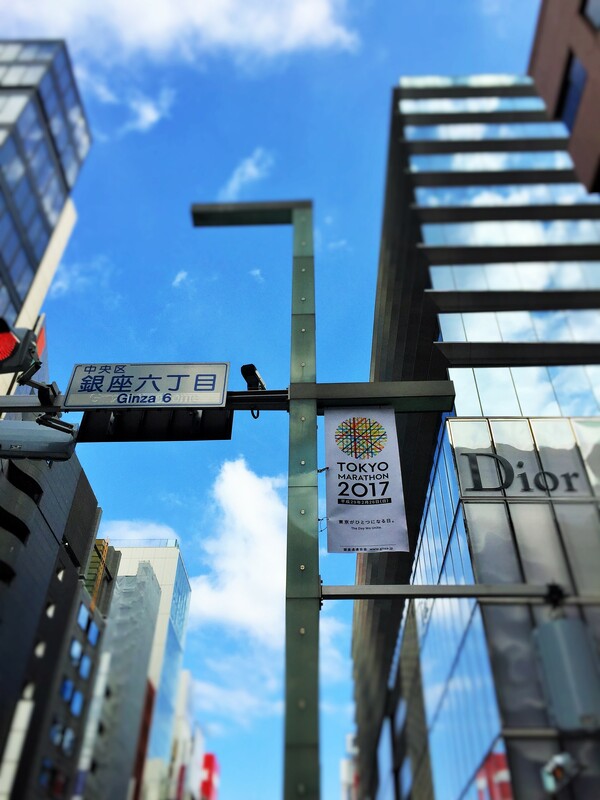 Honolulu Marathon doesn’t have a time limit but Tokyo Marathon has!